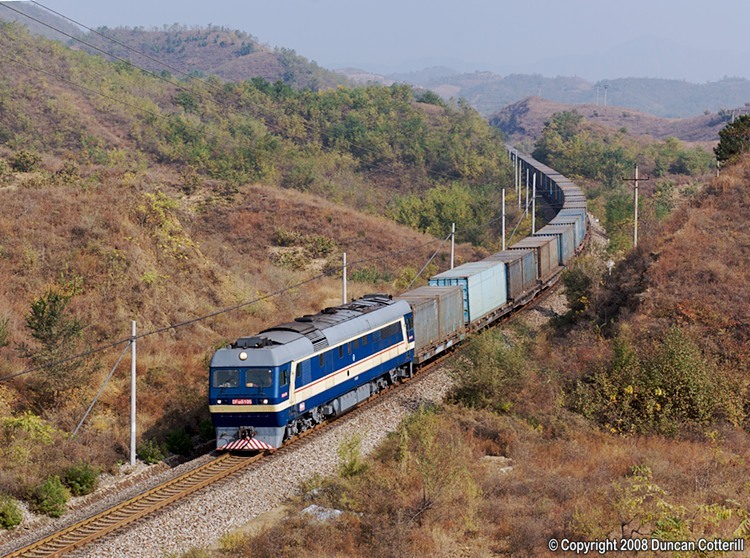 Although containers are in common use in China, it's rare to find a block container train on a secondary route. DF8B 5105 hauled such a train westwards near Bingmaying on 18 October 2008. Most freights on the Beijing - Longhua line are worked by DF8Bs.